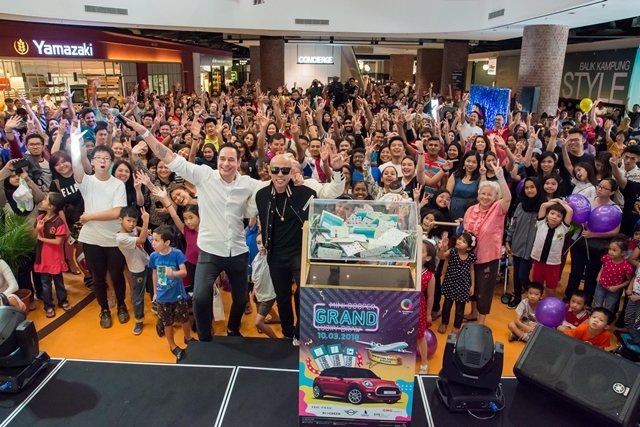 The Grand Lucky Draw is an appreciation support by KL Gateway Mall to the community and their valued tenants. 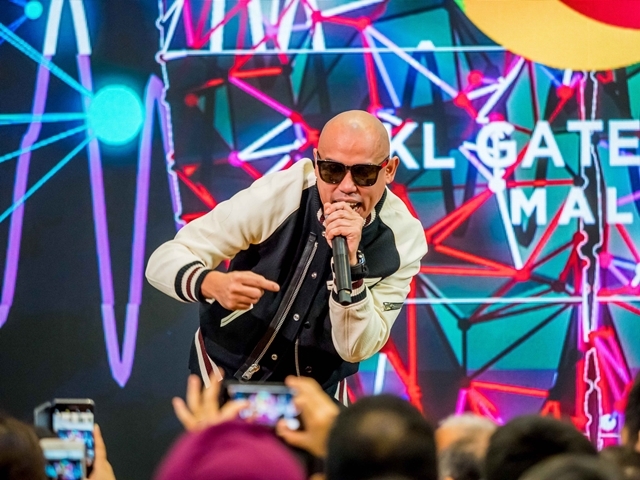 Emceed by the captivating Joey G, shoppers were entertained by Malaysian pioneer Hip-hop rapper, Joe Flizzow. Rapping to the beat of “Drop” his latest single, he wowed the crowd with a powerful performance. Beat Blast Dance continued the excitement with their beat boxing and dance number. At the Kids Carnival, the children were treated with giant inflatables at the Central Piazza. To participate in the Grand Lucky Draw, shoppers have to spend a minimum of RM500 mall wide in a maximum of 3 receipts on the same day. Increasing their chances of winning, shoppers are allowed as many entries as they want. 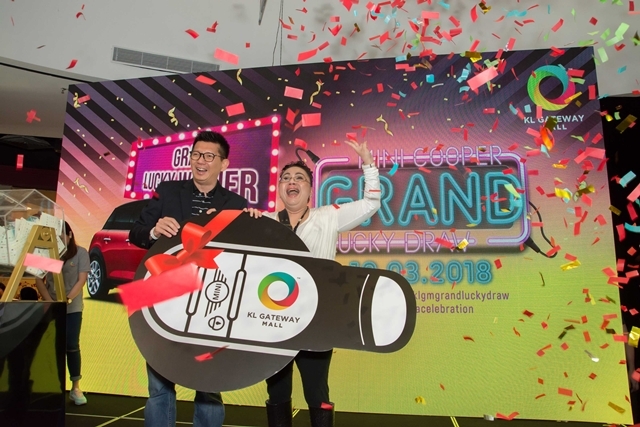 Aside from the main prize of the Mini Cooper 5 door, KL Gateway Mall is also giving away a pair of flight tickets to Bangkok, shopping vouchers and 2 G-shock watches. The prizes were given away by senior management from Suez Capital Sdn Bhd, KL Gateway Mall’s tenants and Auto Bavaria. 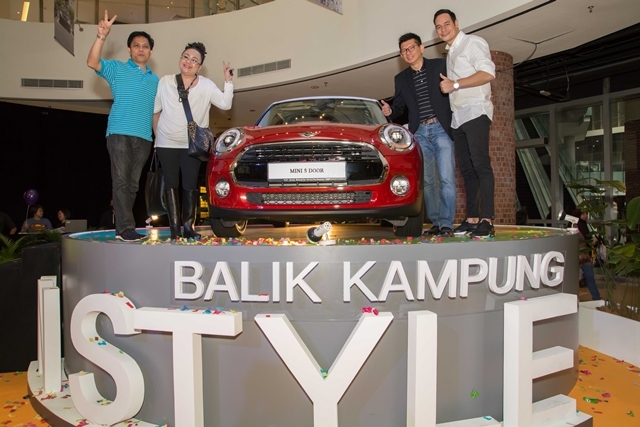 To celebrate the happening Mini Cooper Grand Lucky Draw, the first 50 shoppers who spend RM100 in single receipt gets to redeem an exclusive photo frame. The rest of the shoppers get to enjoy taking unlimited photos at the photo booth available from 2.00pm onwards. The staff here is actually competent and friendly, unlike other places with their pretentious staff guys. The NYC venues were magnificent and modern, and the seating was comfy. Truly, the food was heavenly and as a visitor I am glad for finding this one.